It’s simple, and so delicious. 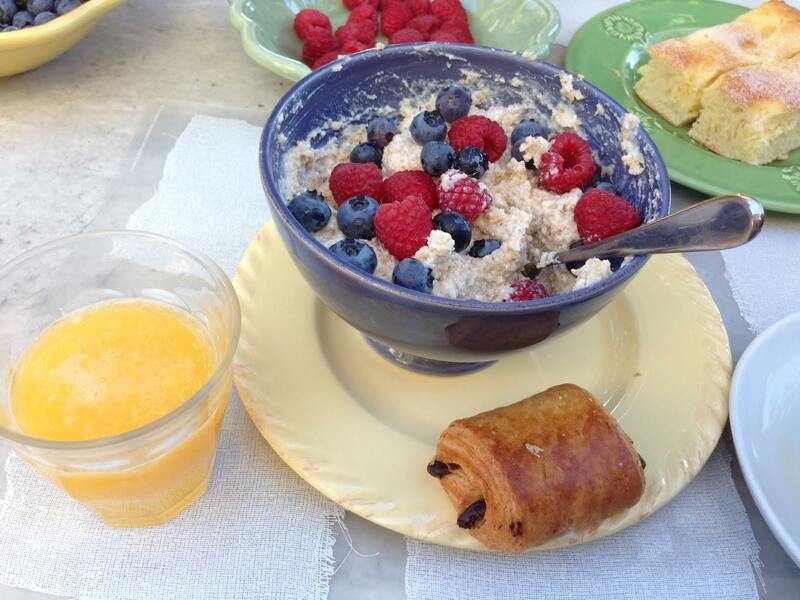 Magical breakfast with fresh berries and local viennoiseries (here, a pain au chocolat), including, in the right hand corner, delish sugar cake with orange blossom water. 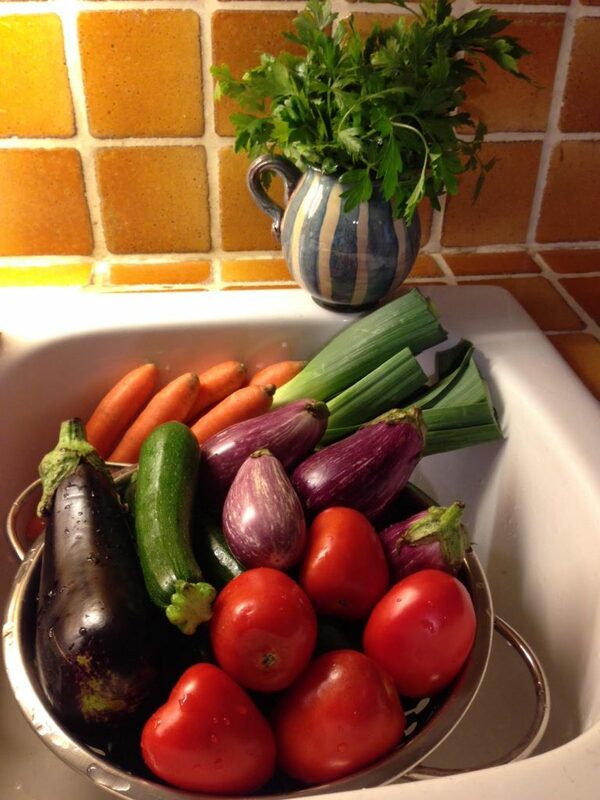 And the ingredients for my last ratatouille in Provence before leaving.